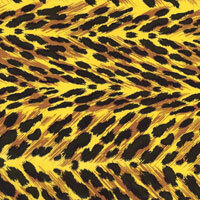 Animal Print of Black and Yellow Cellophane Roll 24 inches wide x 50 ft long. This cellophane is a solid print and will not allow most contents behind it to show through. Perfect for all types of occasions, use it to wrap gift baskets, presents, boxes, use it as a disposable table runner and much more. Zebra in Colors Satin Ribbon 1.5"